You are currently browsing the tag archive for the ‘Armed Forces’ tag. I intend in this paper to look at the different areas in which social integration can be promoted in Sri Lanka, and in particular the manner in which institutions such as the Kotelawala Defence University can contribute to this process. I do so because, in the first place, it is clear that Reconciliation in Sri Lanka requires better social integration than we have at present. 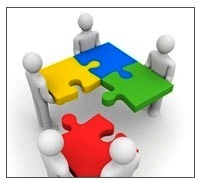 Secondly, while those who, in my view, do not have Sri Lanka’s better interests at heart criticize additional responsibilities being entrusted to military personnel, I have no doubt that better and more systematic use of the capabilities the military have evinced in the last several years will in fact contribute to better integration. Unquestioned, even by the hostile, in this regard is the need for greater minority participation in the armed forces and the police. Though it has been argued that the minorities were deliberately excluded from the forces, this has not been the case, except in the period immediately following the abortive coup of 1962 when there were suspicions, not against the minorities, but against Sinhalese Christians. Tamils and Muslims continued to be recruited, and Christians too though in smaller numbers. In the nineties the situation changed, more because the LTTE discouraged applications, though it is true that, following the desertion of a Tamil army officer, the military was more cautious about recruiting Tamils. Those who were in service however continued to be deployed in vital positions, though not ones that exposed them to LTTE violence. I have myself worked with two Tamil officers in senior positions in the Military Academy, which is obviously considered a plum posting, given the other distinguished personnel, such as the Vice-Chancellor and the Commander and Chief of Staff of the army now, who were there when Sabaragamuwa University ran the academic component of the new degree programme. Our Armed Forces have done a fantastic job in recent years. 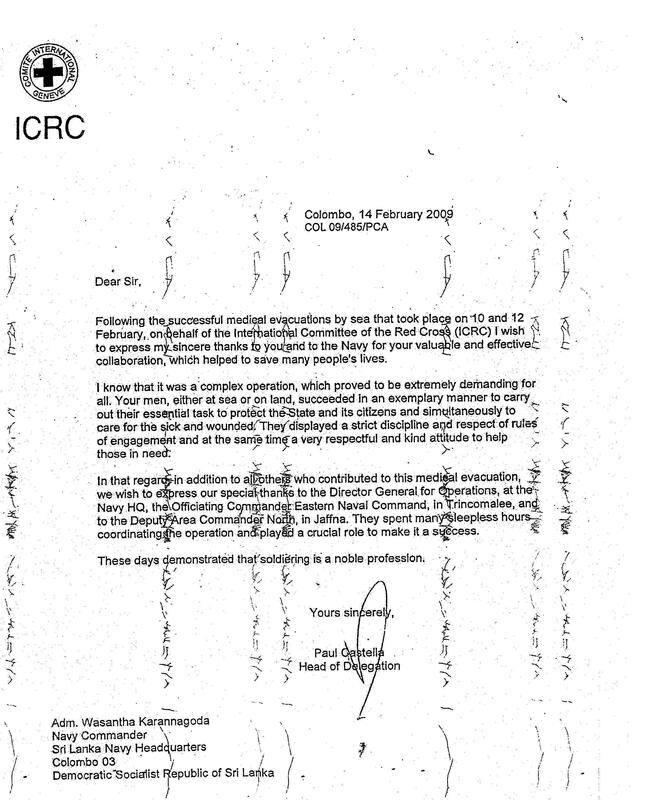 Not only did they deal conclusively with one of the most accomplished terrorist groups in the world, they also assisted the civilian victims of terrorist with strict discipline and respect of rules of engagement, and at the same time ‘a very respectful and kind attitude to help those in need’, to cite a letter sent by the head of the ICRC. However they now find themselves on the defensive, having to face excessive charges that even normally sensible diplomats seem to be encouraging. I believe there are two reasons for this, one entirely our own fault, the other much more sinister and requiring to be dealt with firmly, though sadly our continuing incoherence of policy in this regard means we will continue to suffer. The first reason is the presence, despite the decency of the generality, and the excellent training that we have provided and improved on over the years, of a few elements that behave badly. Unfortunately we have not dealt with them at all sensibly. would charge some individuals when there was basic evidence of wrongdoing, acquit all of them but one, and then claim that they had fulfilled the claims of accountability – as happened for instance with the torture allegations at Abu Ghraib. This was not, I said, the classic Anglo-Saxon vice of hypocrisy, rather it made sense by pointing out to the rest of the forces that what had happened was wrong, while at the same time not being too harsh on personnel who it had to be assumed generally did their best in difficult circumstances. But if that seemed too tough for us, the Americans have now gone one better, and acquitted all of those who killed Afghan civilians and cut off their fingers. They will, I suppose, claim that the inquiry they held proved their bona fides, while at the same time allowing Barack Obama in an election year to escape charges that he is letting down our brave boys on the front by punishing them from doing what God evidently wanted them to do. That provides the best answer to what the then Attorney General would tell me when I would urge him to prosecute those considered responsible for the murder of five boys in Trincomalee. He did not have enough evidence, he claimed, and they would be acquitted. It was useless my telling him that that was not the point, he should not fear shame over a lack of success in the classic Sri Lankan way, he should be happy that the State had made the point that what happened was wrong. I should add that, as I have also been constantly suggesting, we need to investigate the White Flag case more thoroughly, and our failure to pay due attention to what the Americans initially brought to our attention, citing a speech in which Sarath Fonseka seemed to claim credit for what had occurred, was a blunder which has contributed to the complete volte face the Americans have since undergone in that regard. Fortunately we seem after the LLRC report to be moving towards proper inquiry, though there again we see what I can only describe as the sheer carelessness of our decision makers, who waited until after American diplomats had come to Sri Lanka to wag their fingers at us to announce this fact. The inquiries had begun in fact soon after the LLRC report came out, as I found out when I asked the army commander a month ago what was happening. I advised him to publicize the fact, but of course no one ever takes my advice seriously, so we have to suffer the ignominy of international and even national reporting that claims we instituted an inquiry in response to American pressure.